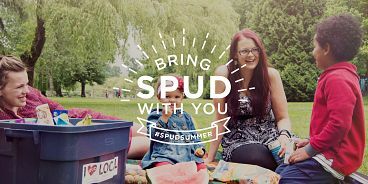 Enter to win a weekend with SPUD – just tag us in your summer! Summer is too short to waste time in grocery stores. We want to see what you’re doing with the time you save by having your groceries delivered and not having to go to the grocery store. Whether it’s walking the dog, hiking to the top of a mountain, camping on a glacier, paddle boarding, show how you are spending your summer! 1) Post an image of what you’re doing while you COULD be at the grocery store. 3) Tag your 3 favourite adventurers to get them in on this contest. You can enter as many times as you like! The more the merrier! Contest closes on July 25th 12 pm PST. Must live in SPUD’s existing delivery areas. You do not have to be a SPUD customer to win!